Nationally, radio listening is continuing to rise with 91% of the population tuning in every week and that’s partly down to the continuing importance of digital platforms. Now more than half (52%) of the UK population listens to radio through digital platforms - DAB, DTV and online. That’s despite plans for the digital switchover being delayed last year due to poor audience pick-up. Last November, Ofcom predicted that the 50% threshold, which would trigger the switch, wouldn’t be achieved for another 2 years. Real and Smooth Radio, which are both based in Salford Quays have seen significant increases in audience figures over this quarter as well as year-on-year (up 250k). Now 5.7m adult listeners tune into the network each week, this is made up of 2.45m Real Radio UK listeners and 3.69m Smooth Radio UK listeners. Regionally, Real Radio North West has seen a quarter-on-quarter increase of 115k listeners and Real Radio Yorkshire has also seen figures rise by 35k. However, the picture’s not so good for Real Radio North East (previously Century Radio), seeing a drop of more than 20k listeners over the quarter. “I’m delighted with the results this quarter has produced, with rises in reach across the group. To have 5.7 million adult listeners tuning into our stations every week is a wonderful achievement and testament to the hard work, commitment and talent we have on both Real and Smooth Radio,” said Andy Carter, group managing director for Real and Smooth Ltd.
Bauer stations have had fairly mixed results, most notably Key 103 which has shed almost 90k listeners over the quarter to 406k. Meanwhile, on the other side of the Pennines, Hallam FM has recorded its best RAJARs for almost a decade and listening figures are now ahead of Key 103 at 431k. The controversial switch of TFM from its Teesside homeland to Metro Radio in Newcastle hasn’t dinted its figures growing from 169k listeners to 190k over the quarter. Blackpool’s Radio Wave has also had good RAJAR’s with increases across the board, including audience and listening hours. It’s share has grown to 16.5% (13.8%) over the period. 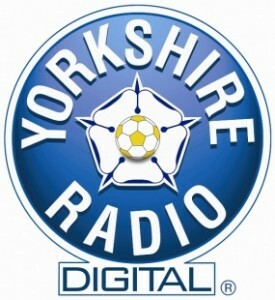 Yorkshire Radio, which has now closed saw its listening figures drop to 89k (99k). At the BBC, there have been slight increases at the MediaCityUK-based 5 Live, with both the main station and Sports Extra gaining audience share. There were also good performances for BBC Radio Cumbria, Radio Humberside and Radio Stoke. Radio Manchester is also showing gains, after last quarter’s dip.